Love chocolate? This run is for you! 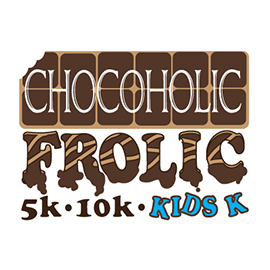 The Chocoholic Frolic 5k/10k is coming to the Dallas area and it's fun for all! Are you competitive? The 5k and 10k are chip timed and you will be rewarded with chocolate at the finish line. Just want to take your sweet time? Run, jog, or walk your way through these courses and enjoy a chocolate stop.